As if dolphins weren’t special enough, scientists have added another quality to the list: they can sense our planet’s magnetic field. Bottle nose dolphins navigate using the magnetic field. Image via Deviantart, Animal Photos. A surprising variety of animals can sense the Earth’s magnetic field – bees, birds, salmon, frogs, sea turtles, salamanders, lobsters, and rodents; now, you can also add dolphins to that list. French researchers have shown that, just like some of their whale relatives, dolphins are attracted to magnets and can sense varieties in magnetic fields. They do this by having magnetite crystals in their brains. This is not the first time this issue is discussed. Previous research has indicated, based on the dolphins’ migration routes, that they can in fact orient themselves based on magnetic information, but there was no direct study of this issue. Another hint was the fact that when dolphins get lost, they usually get lost in places where there is a weak magnetic field. 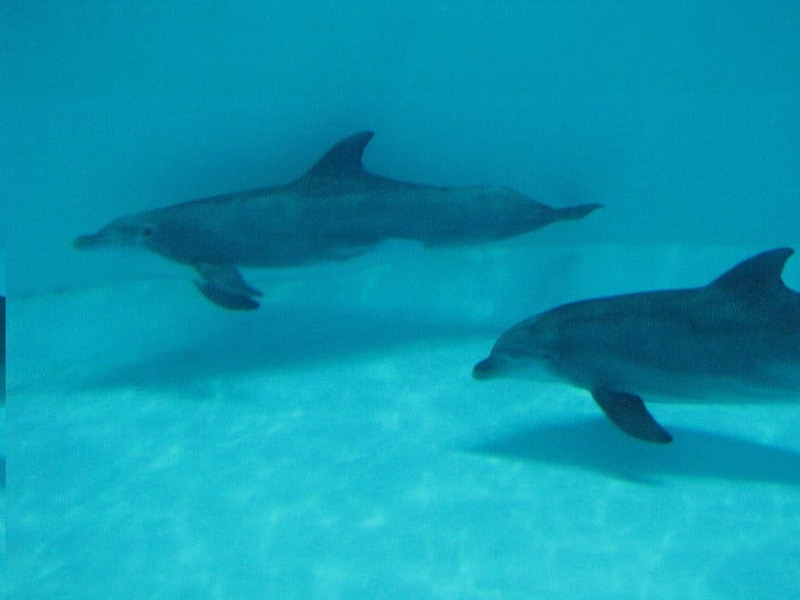 To find experimental evidence of this theory, researchers at the Université de Rennes in France investigated six bottlenose dolphins born in captivity that were kept at the French animal park Planète Sauvage in a delphinarium, an outdoor facility of four pools covering more than 21,500 square feet of water. They watched how the dolphins react to a plastic barrel containing either a strongly magnetized neodymium block or a demagnetized one which were otherwise identical in form and density. The dolphins are naturally curious, so they approached the barrel in both cases, but did so 30 seconds faster when it contained the strongly magnetized block. This is, they argue, enough evidence to show clearly that the dolphins sense the magnetic field. “We conclude that dolphins are able to discriminate the two stimuli on the basis of their magnetic properties, a prerequisite for magnetoreception-based navigation”, they write in the study.